Vega's primary mission is making music education accessible to all students, especially those in schools with underfunded programs and whose families' cannot afford the cost of renting or purchasing a musical instrument of their own. During the past decade, Vega has provided more than 30,000 students with the opportunity to participate in music and art education programs across the state of Minnesota. Our work is gaining attention nationally, with interest from schools as far away as the East coast. We believe that a quality music and art education are integral parts of a whole curriculum and that students benefit tremendously from these programs. We pursue this mission a few different ways. Instruments in the Cloud is an online giving platform that makes it easy for people to donate musical instruments directly to school programs in need. The site lets teachers quickly create an online wishlist of the musical instruments they need for their classrooms. The dynamic database created by these lists makes it easy for donors to help music programs that really need the instrument they're giving away. Do you have a musical instrument you'd like to give a school program with students in need? Does your music program need instruments to lend students in need? 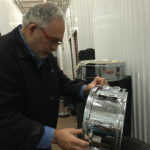 Putting instruments in the hands of the Minnesota students who need them most. 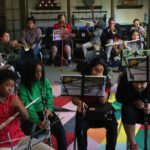 Vega partners with school music programs who need help starting or maintaining their music programs, matching them with individuals or groups who want to organize an instrument drive. We've worked with everyone from young people doing service projects to giant corporations doing community outreach to gather, repair and prepare the instruments for their new homes. Think you or your company/organization might want to help out? We work with Classy to make it easy for you to set your campaign up for success. 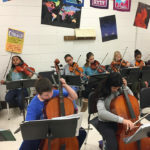 Does your underfunded music program need instruments to lend students in need? 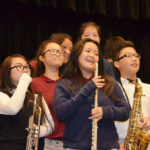 Want to host an instrument donation and fundraising campaign to benefit local students in need? Read about some of Vega's donation partnerships here. In 2016, Vega worked with an enthusiastic and dedicated group of volunteers to launch Make Music Twin Cities, a day-long, metro area-wide, free music festival that takes place on June 21st – the summer solstice. Musicians of all ages, abilities & backgrounds are encouraged to take part, and community members across a multitude of backgrounds and musical tastes are able to vividly experience a range of musical genres, in their own neighborhoods and backyards throughout the Twin Cities metro area.